Enhance your home workouts with these three tools (each under $50!). Maybe the idea of dropping extra cash on a fitnessÂ membership makes you cringe, or maybe you want to have the option to workÂ out in your living room on days you can't get to the gym. Either way, you don't have to turn your home into a fully-stocked fitness centerÂ with treadmills and dumbbells to get in a solid strengthÂ session. With these three tools, each under $50, you can enhance your home workoutsÂ without the costly tech. 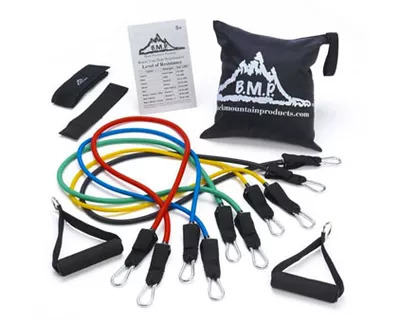 This gym-in-a-bag lets you tote around a complete set of resistance bands (the dumbbell's lighter, more portableÂ cousin).Â The pack includes a door anchor, soft grip handles, exercise chart, carrying bag, ankle strap, and starter guide. The Long and Lean Toning BarÂ is the perfect tool to amp up your Pilates training. 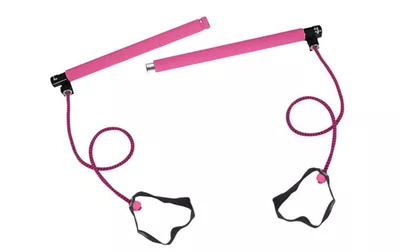 You can perform a variety of movements with the two 30-inch power cords and attached foot straps. It can also dissemble for easy travel and storage. Interested in trying suspension training, but balking at the $200-plus price tag? 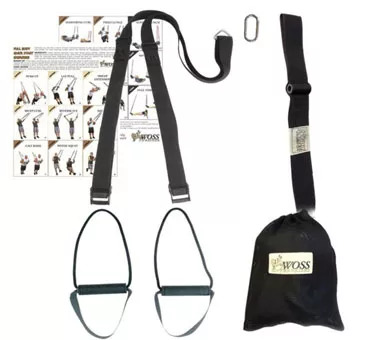 Enter theÂ WOSS Attack Trainer, which allows you to useÂ your own body weight to strengthen your entire body for a fraction of the cost of more advanced trainers. The harness can easily be hookedÂ to a door with an included built-in anchor. From there, the Full Body Quick Start Exercise sheet will demonstrate 18 different workouts for you to try. Fitness expertÂ Kristin McGee recommends a few key pieces of exercise equipment in the video below.